Dolphins cornerback Cordrea Tankersley is out for the year with a torn ACL, head coach Adam Gase announced. Tankersley will be placed on injured reserve with a targeted return in 2019. Tankersley suffered the injury during practice on Thursday. It’s a bad blow to an already iffy secondary that has allowed opposing quarterbacks to complete 66.8% of their passes. 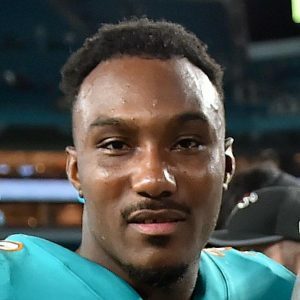 Tankersley, a 2017 third-round pick, started 11 games for the Dolphins as a rookie. This year, he has taken on more of a reserve role with an emphasis on special teams. The Dolphins will move forward with Xavien Howard and Bobby McCain as their starters with Torry McTyer and rookie Cornell Armstrong as the backups, but they’ll probably add another corner to the mix soon. The Dolphins are 4-4 after dropping their last two games. They’ll look to get back in the win column when they take on the Jets in Miami on Sunday. That’s the best picture they had?